The entertainment industry is implementing robots for the same reasons manufacturers are: precise, repeatable, nonstop work. Those features make collaborative robots an attractive option in a range of entertainment industry applications. Robots are already appearing in applications such as entertainment arenas and interactive point-of- purchase sites, and robot use is growing in the film industry. A camera-wielding robot can shoot a movie scene dozens of times in exactly the same way, or manage precise, repetitive special effects movements. Six-axis collaborative robots can easily manipulate objects such as cameras for high-precision, high-speed film sequences with 360-degree rotation on all wrist joints and infinite rotation on the end joint. The robots provide fast, repeatable actions but are safe to work side-by-side with humans. 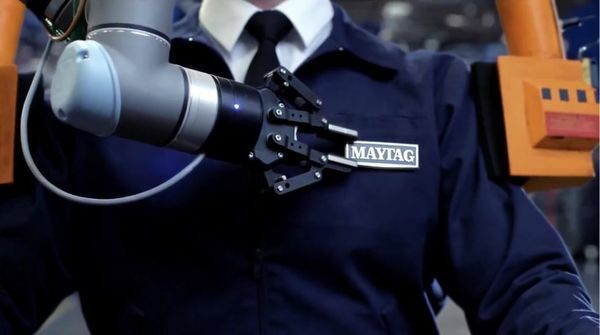 Patented force-sensing technology means the robot stops immediately when it encounters a human in its workspace. Due to their affordable price, collaborative robot arms are ideal for a range of entertainment uses. And their small size and lightweight design means cobots can be easily deployed in tight space conditions. Moving a cobot to new processes is fast and easy—these small, lightweight robots can even be mounted on a moving platform. With programming as easy as moving the arm to the desired path and using an intuitive touchscreen interface, even non-technical operators can easily automate nearly any process.